a crackling and hissing in come over the desert field headsets. whisperings around the fire-pit on the edge of the infinite nothing vista… i am now very gladly taking the opportunity to announce that my latest release, palmyra – valley of the tombs, is now available as an ultra-limited edition cassette tape and 24bit digital download from my bandcamp page. two fifteen-minute instrumental compositions, based on the original ‘palmyra‘ piece from my ‘sittah sittah sab’ah‘ album, the release is an instrumental journey into arabian-influenced-dark-jazz-doom-drone. 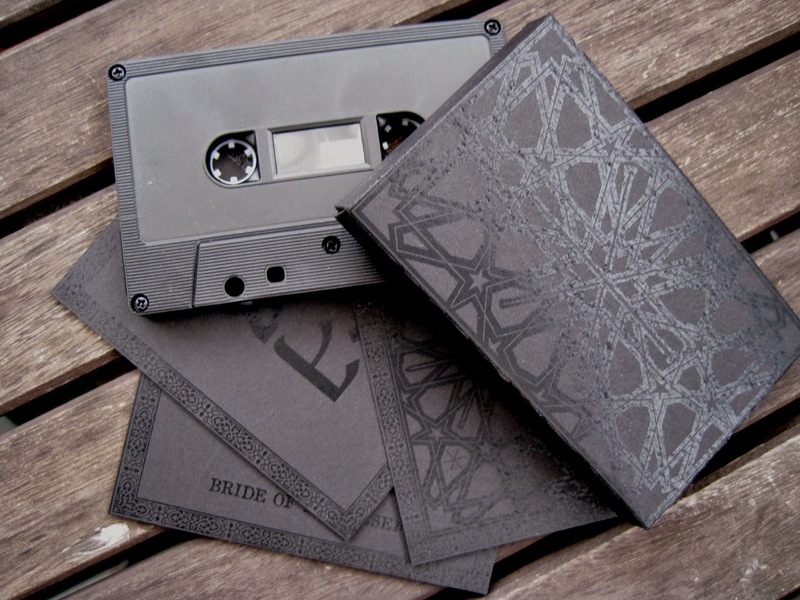 please do be sure to think about securing yourself one of the twelve hand-crafted cassettes, or a copy of the download which also includes a six-page digital booklet with auxiliary materials. get involved. gladly presenting, palmyra – valley of the tombs, and bride of the desert. two sprawling, dream-like re-investigations of the original piece to be found on my ‘sittah.sittah.sab’ah‘ album, and taking us further into the hallucinogenic depths of the spectral desert scene, within the realms of the ancient city. 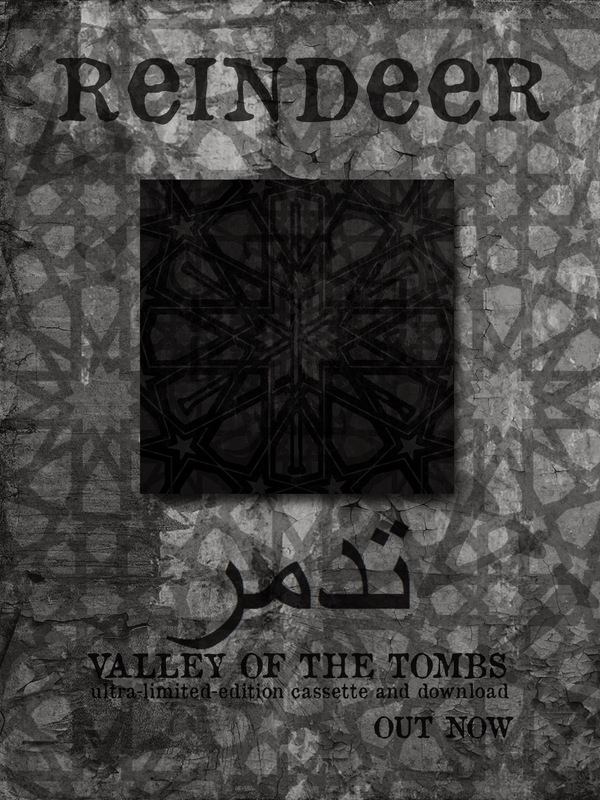 valley of the tombs finds us in the misty half-light of the deserted valleys at dawn, eerie droning trumpets and whispering winds of field recordings, slowly joined by monolithic sub-bass and droning oud passages, ushering in the night and changing into a dark, writhing dirge til its conclusion. bride of the desert, leads us back from the dark of the valley, into the depths of the majestic ancient city at dawn. the oud motifs from the valley transmute into lilting saxophones and vast droning sub-bass that expand and unfold, rising amidst crashing percussive swells and mournful tones and textures, before awkward trumpets and field-recordings slowly lend their steady unease. available from 29th december as an ongoing digital download, and ultra-limited-edition cassette tape of only twelve copies; be sure to investigate when the time comes, and allow yourself time to be swept up into the ethereal incantations and to bathe in the psychotropic sound-fields.